Wet hair? Don't care! 5 wet hairstyles to get you through 5 scenarios when there's just not enough time to dry your locks. We know there are a plethora of reasons why you might not have time to give yourself a blowout (we love sleep too), or that sometimes throwing dry shampoo on it just won't work (looking at you day 4 grease). Don't worry we're here for you! As your fairy hair-mother we will guide you not to look like a hot mess with wet hair if you find yourself in any of the following scenarios. All you need for this one is some Sea Spray for texture, Ghost Oil for the ends (in the morning) and a hair tie to secure twisted hair into a bun. Follow the tutorial from office favorite, Man Repeller... Basically you just twist, and keep twisting. Easy enough? We tested it, created fun messy waves! Just in case you want a little more put together look, hit the snooze button, and spend 5 minutes in the morning fixing random pieces with a wand. This chic look is a quick way to make it look like you've got it together even with wet hair. Add Leave-In Mist or Ghost Oil to keep strands frizz free and looking profesh. All you need is a hair tie and a bobby pin. 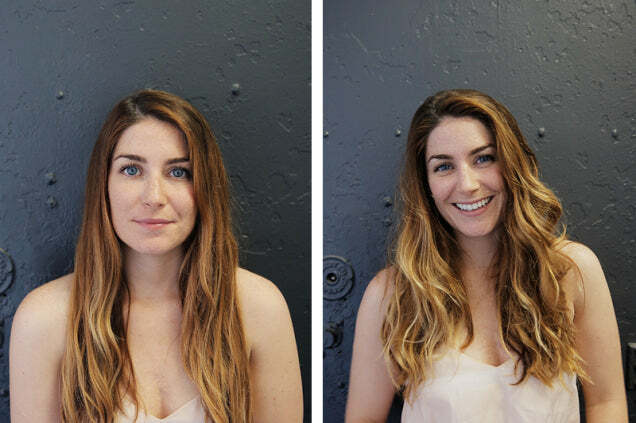 Read this tutorial from another office favorite, Refinery29, to get the look. This look works great for many occasions. Work, brunch, school.. you name it. You can make it more fun and playful by adding texture with Sea Spray or keep it more professional by pulling back wispy pieces and using Ghost Hairspray. All you need is a hair tie, a few bobby pins and this tutorial from The Freckled Fox. Before styling start with some Volume Spray. It works to make hair smell great and boosts any post workout sweaty-ness. This style can be done in multiple ways, use whatever braid you feel more comfortable with (here you can see an inside-out french braid) braid your hair, use some Ghost Oil on the braids so that the hair dries frizz-free and bobby pin the braids criss-crossed at the back of your head. Seems easy? It is! Lazy girl tip: if you really can't spare the time to wash your hair in the post-gym shower, no worries, wear your hair in french braids while working out, then you just need to spray and bobby pin back (we won't tell anyone how gross you are). It's summer and that means not only days in the sun but lots of post-pool day activities. We know that FOMO ("fear of missing out" for ya'll who are clearly already missing out) is a real thing. So use this video tutorial to find a bunch of creative ways you can style your hair quickly between throwing on a cute cover up and heading to get rooftop cocktails. Also, yes we know this one is kind of cheating because there are multiple hair styles... choose your favorite! 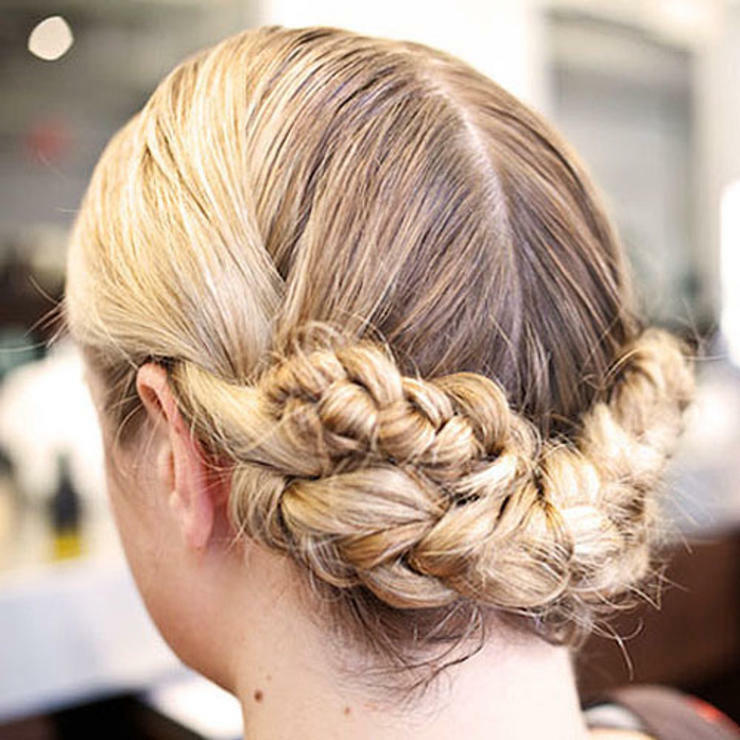 We really like the braided bun look.